Hi, I'd like to show you this page I found on SlumberWorld's website. Additional time may be required for Neighbor Island orders. A channeled surface design that promotes airflow through the mattress. InfiniCool™ Surface – a fiber layer enhanced with cooling materials uniquely positioned just beneath a soft knit fabric cover to help move heat directly away from the body up to 20% better while you fall asleep*. The fiber layer is also enhanced with ActivPur™, an antimicrobial technology that prevents odor-causing bacteria to help keep your bed fresh. 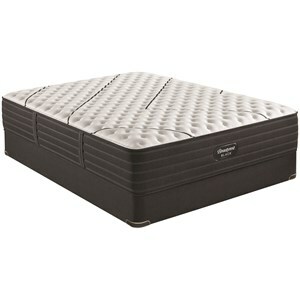 *As compared to last Beautyrest Platinum line without InfiniCool Surface. A unique material with an open-cell structure, encouraging better airflow. Proprietary support technology that offers enhanced conformability and motion separation, thanks to ultra-responsive, individually wrapped coils. Every Beautyrest Platinum mattress contains ActivPur™ in the FR fiber with added antimicrobial properties that help prevent odorcausing bacteria, mold, and mildew for a fresh mattress. Each Beautyrest Platinum mattress also comes with our complimentary smart-bed bundle, featuring the Beautyrest Sleeptracker® monitor. It’s a unique technology that monitors your sleeping behavior and synthesizes your data— coaching you into your best sleep shape. The Beautyrest Sleeptracker® monitor is included in the purchase of any Beautyrest Platinum mattress. When the bed is delivered, a warranty card details instructions for redeeming the monitor. The Platinum Belgrade Extra Firm King Mattress and SmartMotion 3.0 Adjustable Base by Beautyrest at SlumberWorld in the Honolulu, Aiea, Hilo, Kailua-Kona, Maui, Hawaii area. Product availability may vary. Contact us for the most current availability on this product. The Beautyrest Platinum Collection of Mattresses boasts "Better Sleep" / "Bolder Days", meaning, a good nights rest is essential in getting the most out of each day. 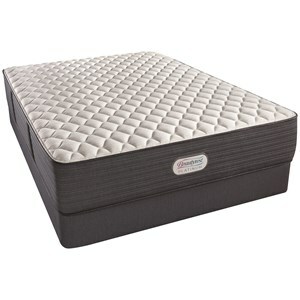 These Platinum Mattresses combine Beautyrest's proprietary Ultra-Responsive Pocketed Coils, for incredible individualized support, with comfort layers including Beautyrest Gel Memory Foam and an InfiniCool™ Surface, which directs heat away from your body, letting you get the best rest of your life. The Platinum Belgrade Extra Firm collection is a great option if you are looking for Mattresses in the Honolulu, Aiea, Hilo, Kailua-Kona, Maui, Hawaii area. Browse other items in the Platinum Belgrade Extra Firm collection from SlumberWorld in the Honolulu, Aiea, Hilo, Kailua-Kona, Maui, Hawaii area. SlumberWorld is a locally owned family company and the only bedding store in Hawaii offering the best selection of brand name beds including Beautyrest, Serta, and Tempur-Pedic. Our bedding specialists are trained to help you find the perfect bed so that you have the sleep you deserve and wake up refreshed every day. With stores on Oahu, Hilo, Kona, and Maui, SlumberWorld brings you the largest selection of mattresses with a variety of sizes, styles, and comfort levels. 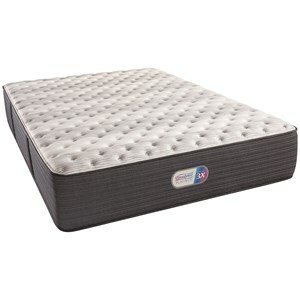 SlumberWorld also offers a variety of sleep accessories: pillows, travel pillows, sheets, and mattress pads. Visit Slumberworld today and let us help you find your perfect bed.